This last week I bought some prints online of birds and flowers for the bathroom for a "French Garden" theme. The theme came to me because the color of the walls reminded me of the pale green french clay that is used for facials.........I don't know why, I doubt Brian made the same connection :o) Anyway, when I bought the garden themed prints it was a get 4 groups of prints for the price of 3 so I decided to also get a pack of seashell prints. 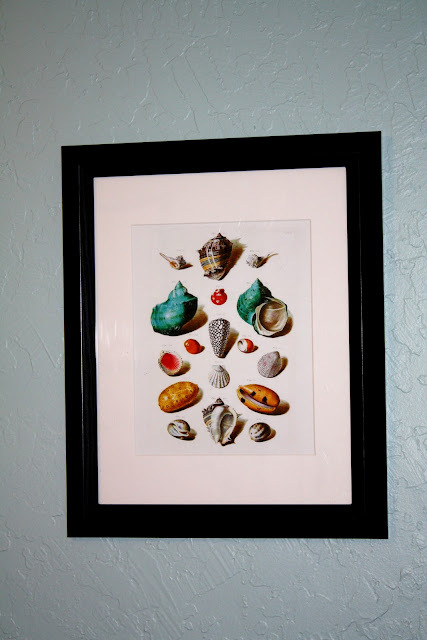 The seashells would work perfectly with a really cool red coral embroidered accent pillow that I found a while back for the front bedroom. So I used some frames I already had and hung them up on the wall. 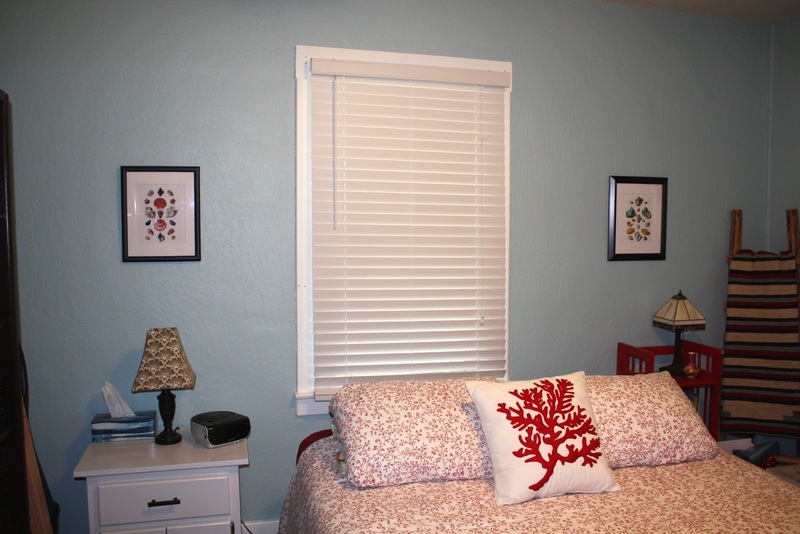 Here is a picture of two of the prints flanking the bed. Here you can see the prints up close. 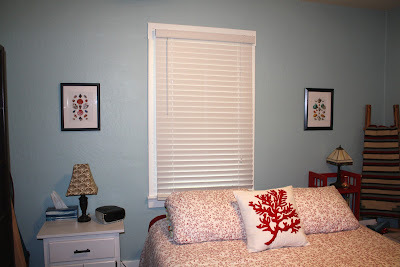 And pretty blueish-green and speckled shells. 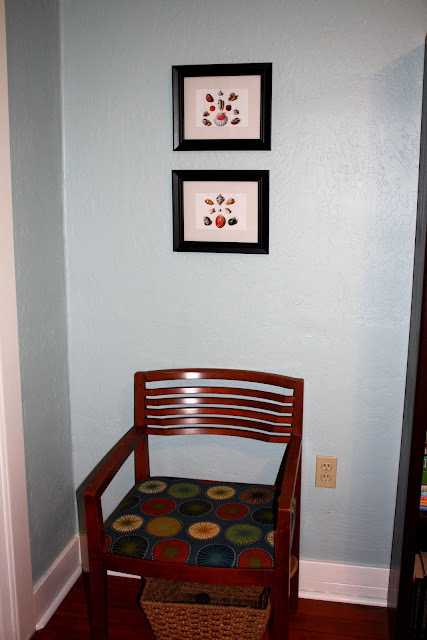 I also had a couple small prints that I hung together over a chair by the door. 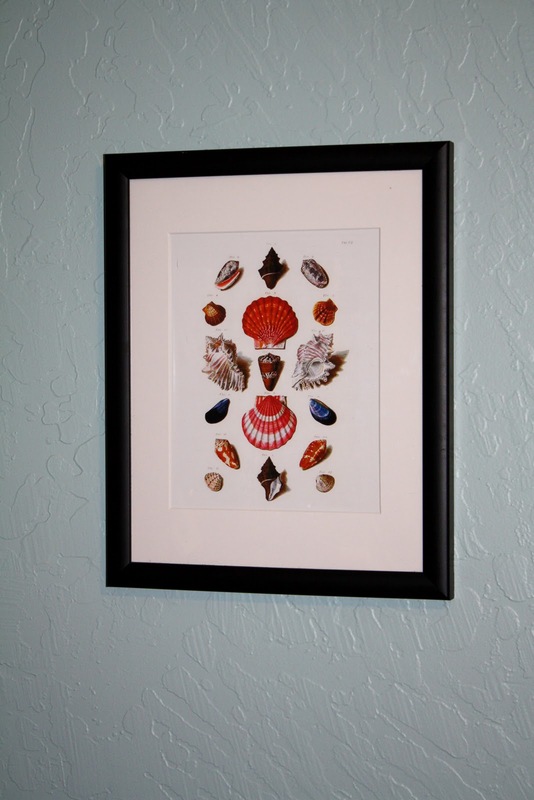 I'm still trying to find some white frames for the prints for the bathroom that aren't too expensive. Once I get them up I'll be sure to post the pictures!